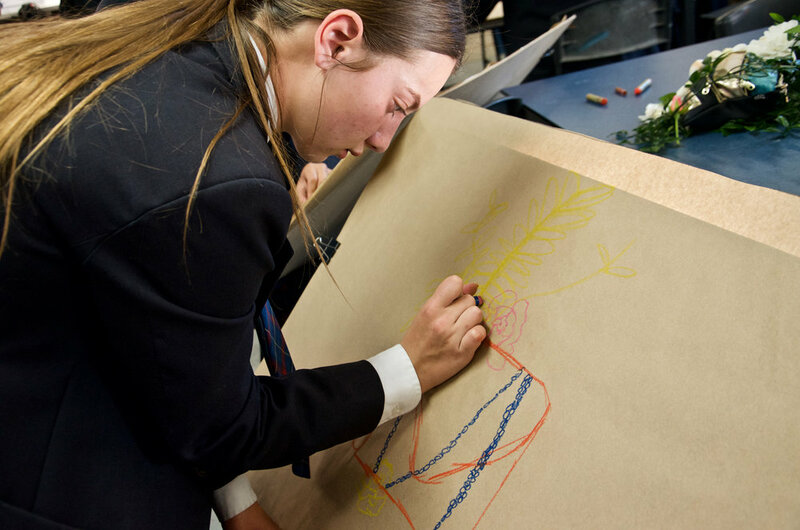 A small group of Year 9 students took to the 5 week "still life" drawing program using ambitious lines and mark making. Exposed to traditional mediums of charcoal and oil crayon the students explored these formal mediums with modern aerosol spray paint. 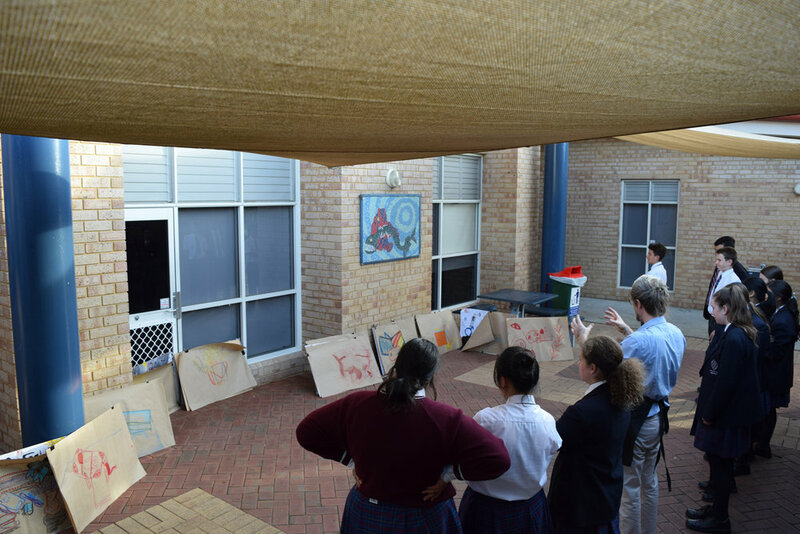 The focus of each workshop was to enjoy drawing, practicing foreshortening techniques, contrasting weight lines and compositional designs on large brown paper. With the lesson broken down to quick 15min drawing sessions the aim was to capture enough information without being too laboured in the process. The highlight of the lesson was drawing from their favourite personal items; shoes, purse and hat.